Technology has had a massive effect on where people do a lot of things in societies nowadays, for instance in the way we interact, eat, have fun and the way we live. Underwater exploration has also undergone its own share of rapid changes which have been fuelled by technological advances. For example, technological innovation has led to the development of underwater drones and robotic equipment that are capable of providing unique underwater experience through a state of the art equipment. Such technologies will be further utilized by other professionals including oceanographers, marine biologist as well as fishermen. The Titan drone project was able to raise over $50,000 in 3 days during the launch at the Kickstarter which was quite a feat for the company. Titan is one of the company's newest and most modern flagship product that will hit the market soon especially during the Kickstarter when both potential customers and underwater drone enthusiasts will be able to view it. The process of exploring the underwater environment involves not only experience but also a superior underwater gear that is capable of highlighting and recording the underwater surface as well as skills needed to navigate such regions. The Launch of the unmanned underwater drone. Titan for the Kickstarter significantly led to huge sums of money being raised because of people's curiosity and eagerness for the drone as well as providing support to the manufacturer. The Titan drone is quite an impressive equipment because it is capable of diving over 150 metres deep underwater preserving the extreme pressures of that depth very effectively. This new drone spots a spectacular 4K camera featuring an 8MP which is able to shoot clearer images than most underwater drones available in the market. This equipment sports 6 thrusters which can enable the Titan to propel and move freely at a maximum speed of 2m/s in an almost 3600 angle. The Titan is further equipped with an extendable robotic arm which makes it easier for the drone to manoeuvre it underwater and reduce the water current effects. 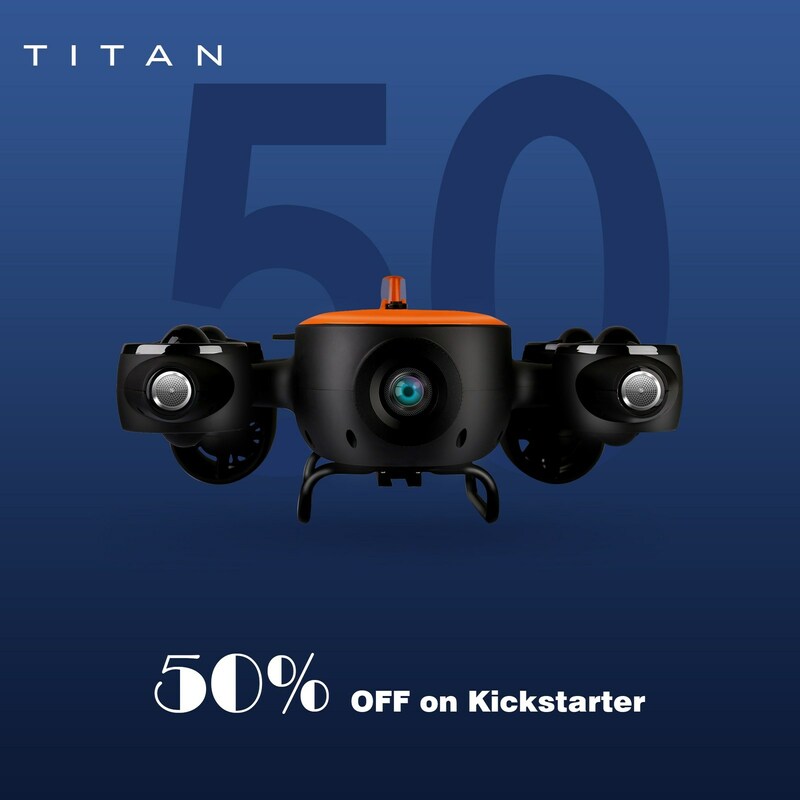 During the launch of The Titan at Kickstarter, it surpassed plenty of expectation due to the sheer number of interest and buzz it generated from underwater explorers and enthusiast alike. Several of the KOLs will also be on the lookout in reviewing the drone in a view of acquiring one in the near future at a discount. The Kickstarter campaign will further showcase the unique features of the Titan to all the underwater explorers and would be owners of the product. Titan will be thus an underwater drone changer in its field not only because of its capabilities but also because it will be quite affordable at a price of about $1199.